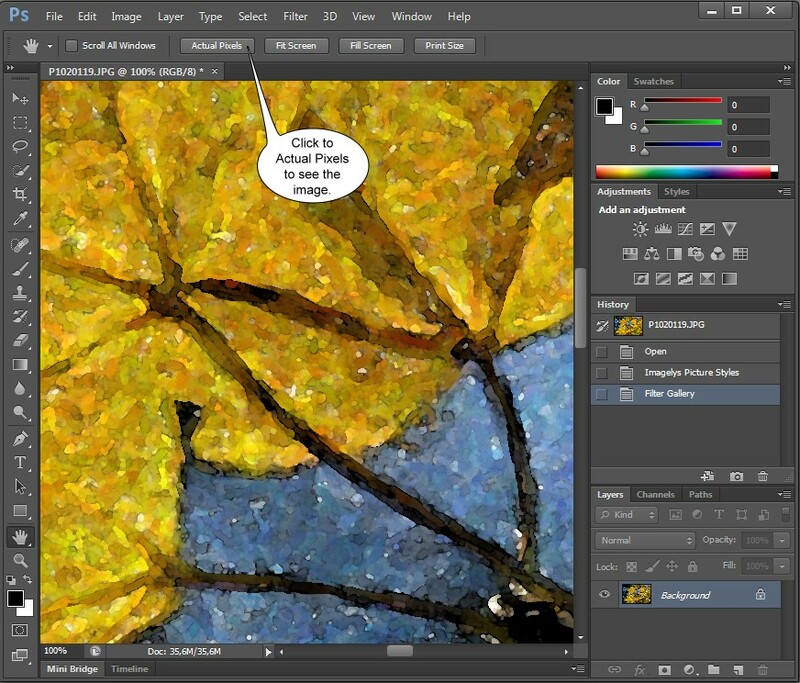 You can apply Painterly effects to your images files from Adobe Photoshop CS6 32 bits very easily. 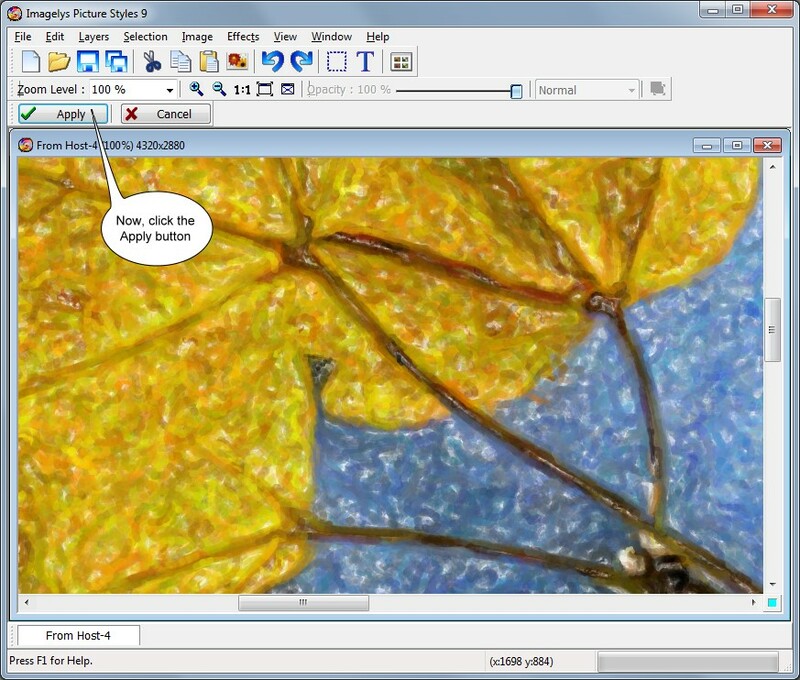 This tutorial uses two filters named Painterly 038 and Watercolor Frame 11. 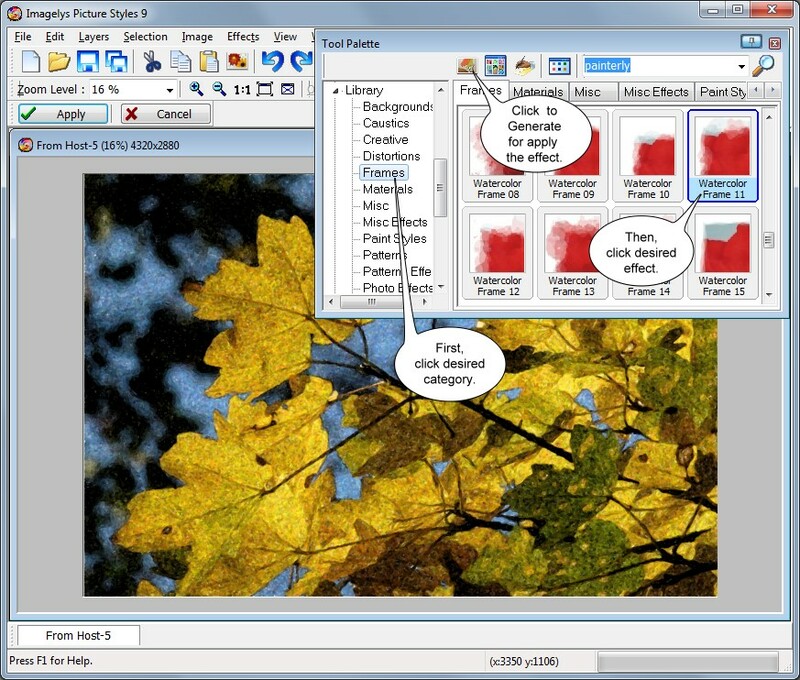 You can download this two filters with the Imagelys Filter Library. See here. 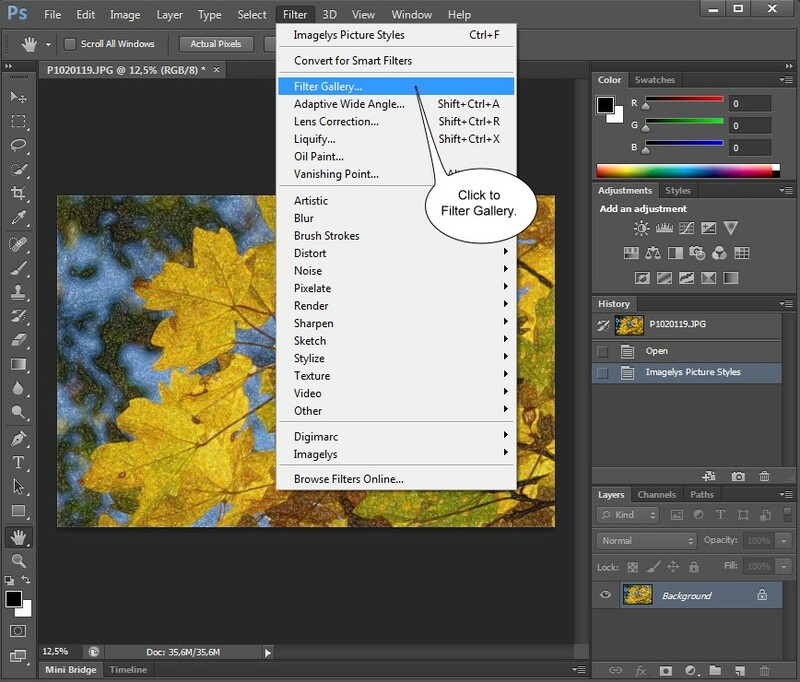 In the main menu of Photoshop, click to open and choose an image file. The picture appears in the work space. 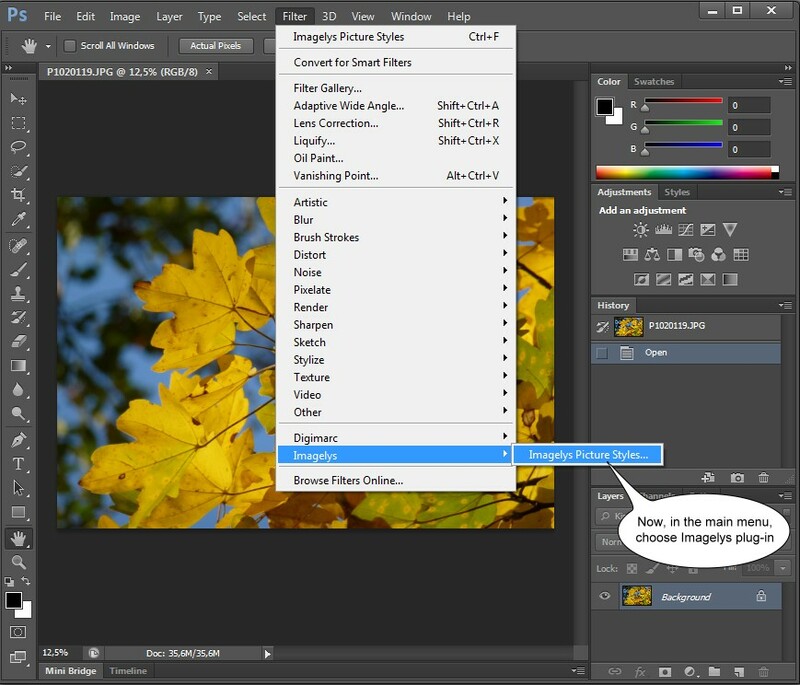 Now, in the main menu, choose the Imagelys plug-in. 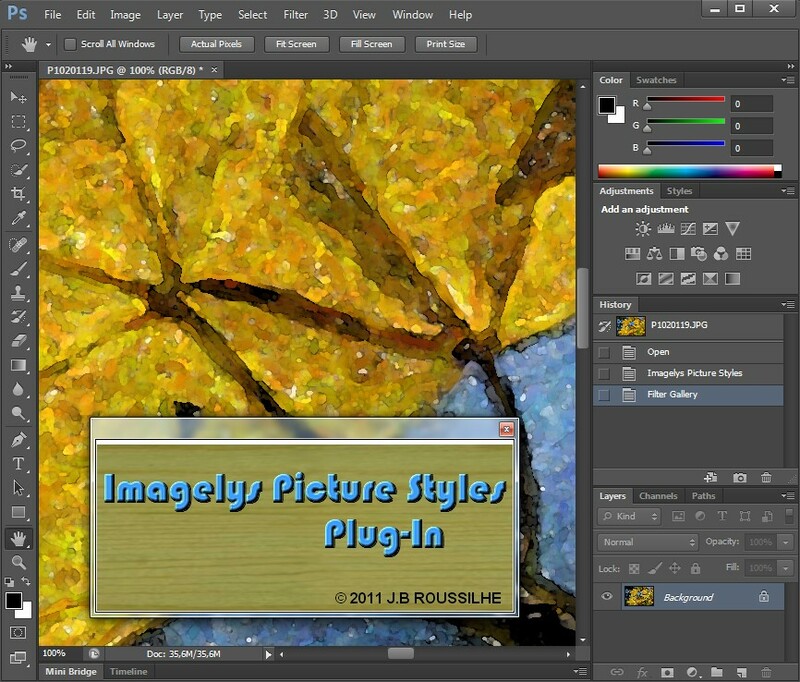 Now, the Imagelys plug-in is active. Do not close this dialog box till the end of process. 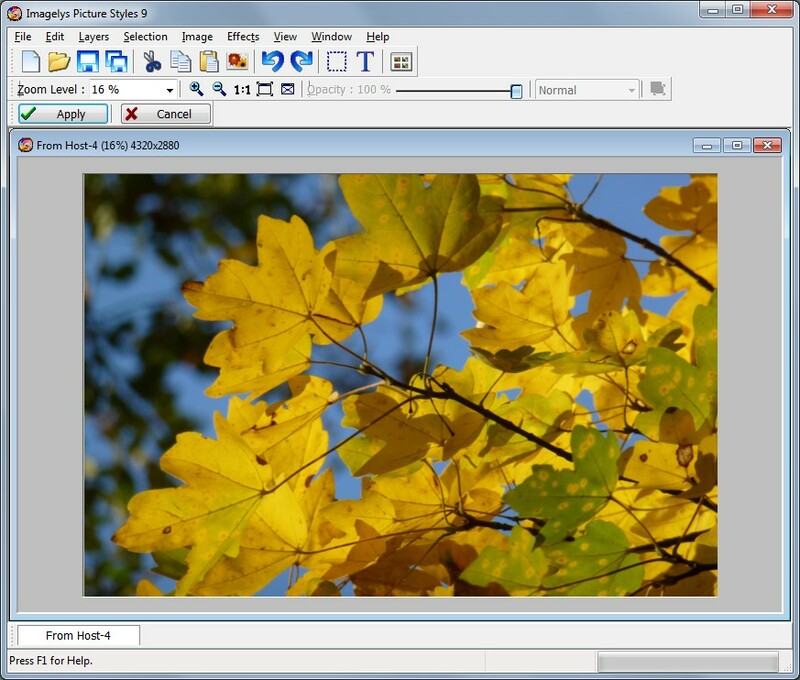 Wait the launching of Imagelys Picture Styles software. 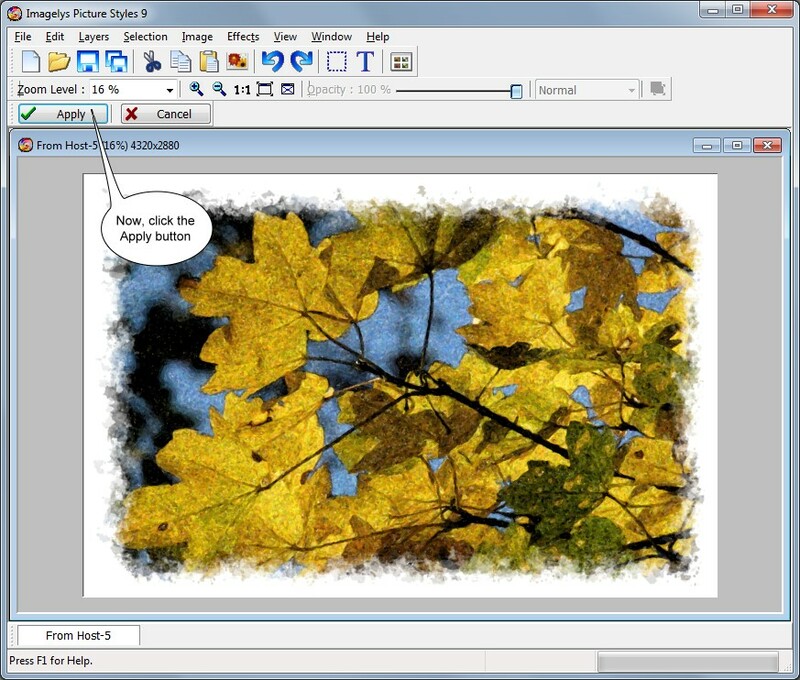 The picture appears in the Imagelys work space. 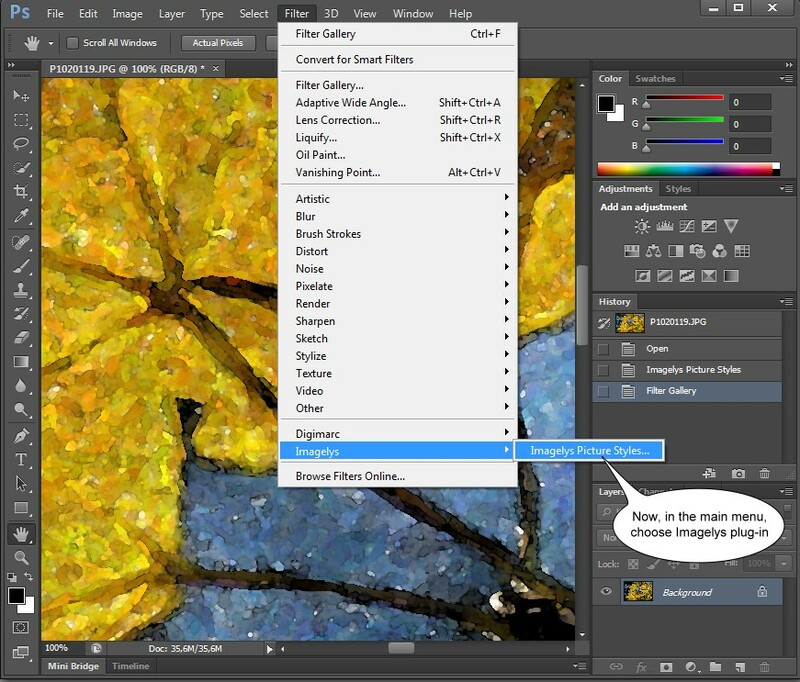 When Imagelys Picture Styles is running, choose the Painterly 038 effect into the ToolPalette and click the generate button. 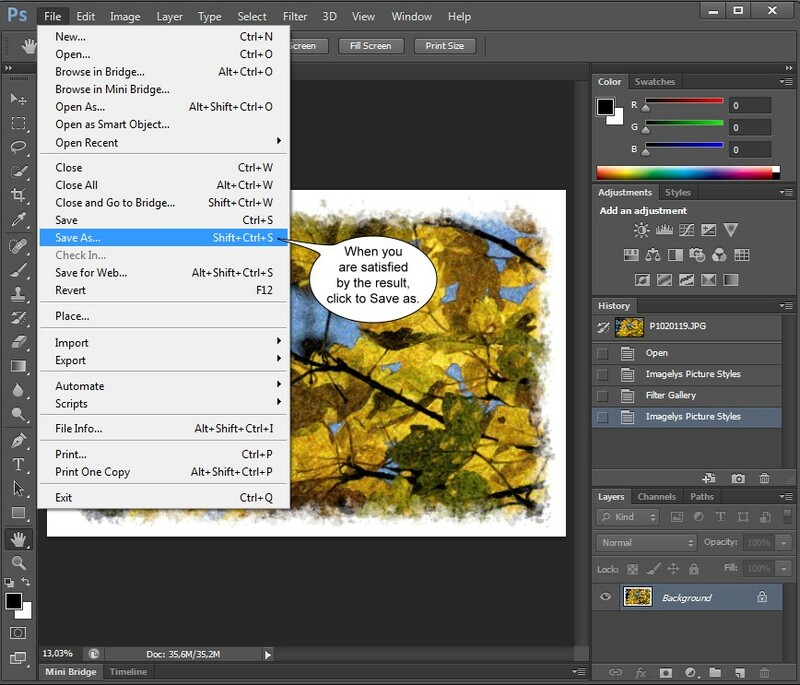 Now, you can click the Apply button for validate your work and return to Adobe Photoshop CS6. 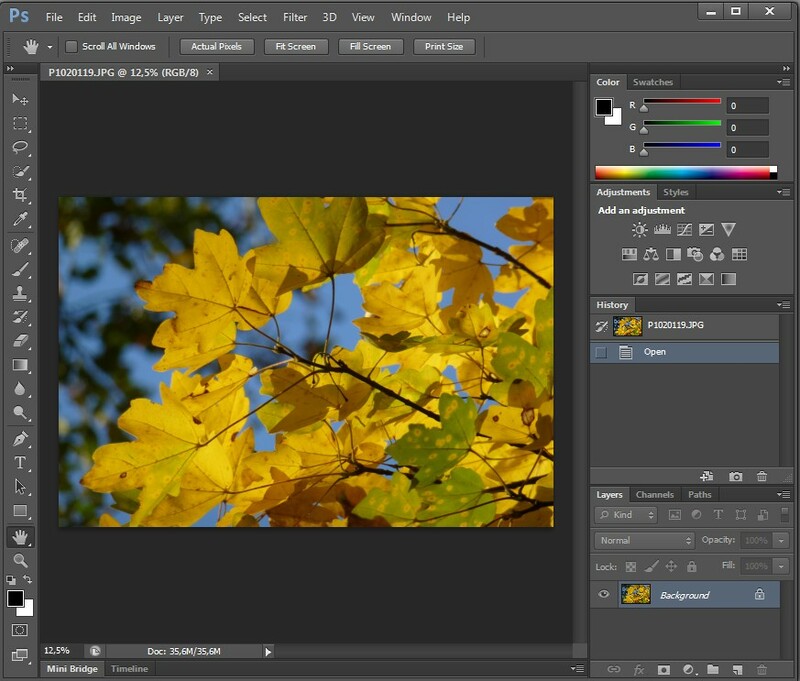 The result is showed into Adobe Photoshop CS6. 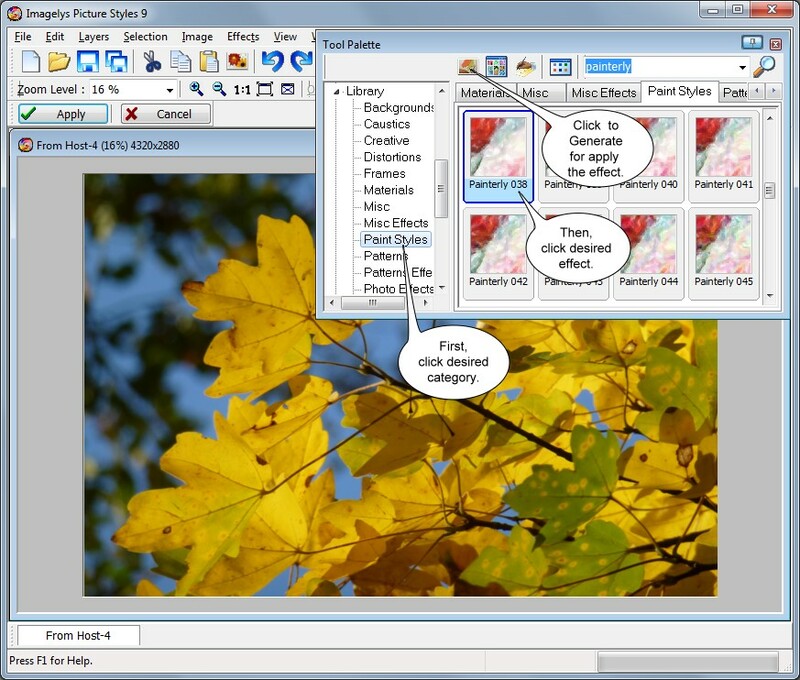 First, in the main menu, choose Filter Gallery. 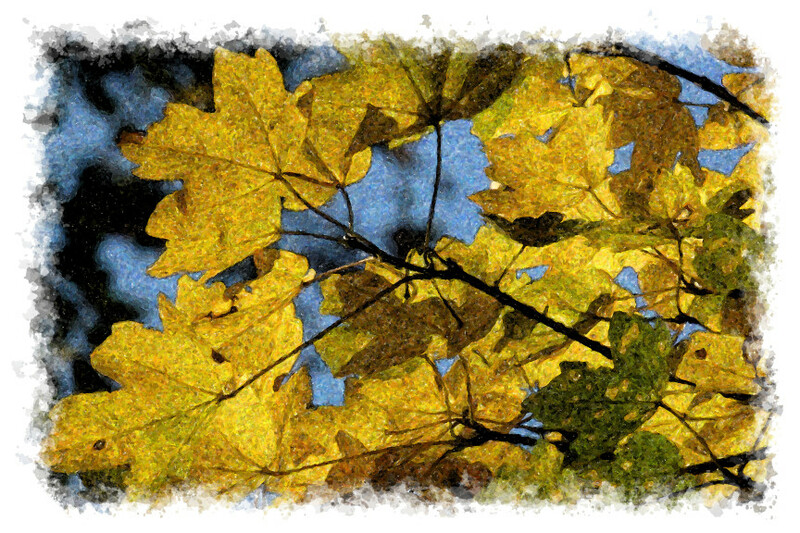 Then, in the panel, choose Artistic and the Watercolor effect. Now, click the OK button. 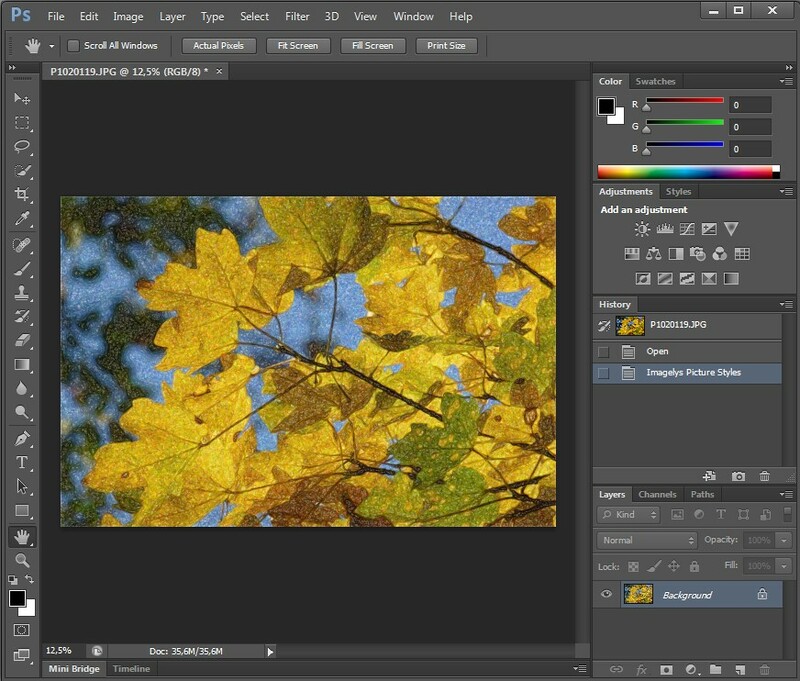 Now, you can click to Actual Pixels to see the result of the effect. 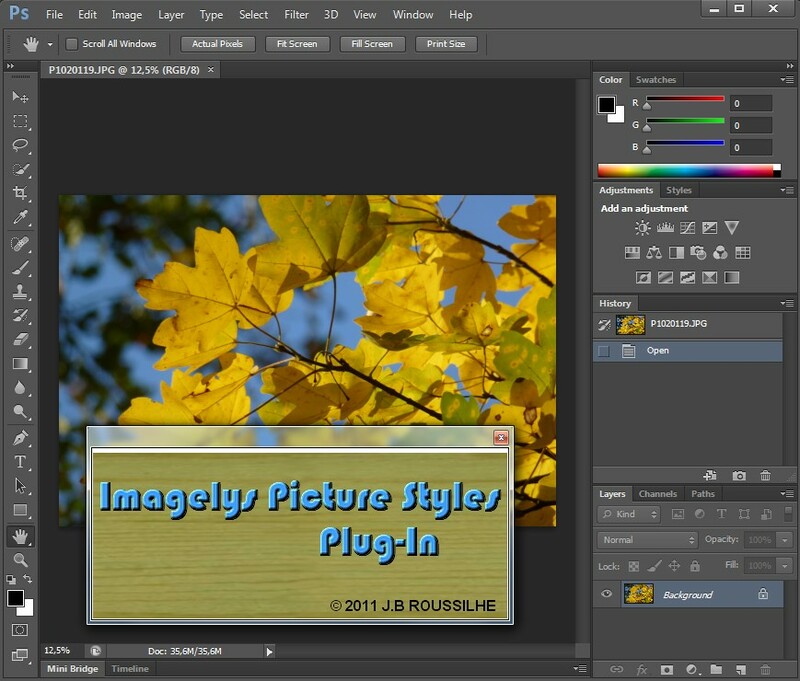 Then, in the main menu, choose the Imagelys plug-in. 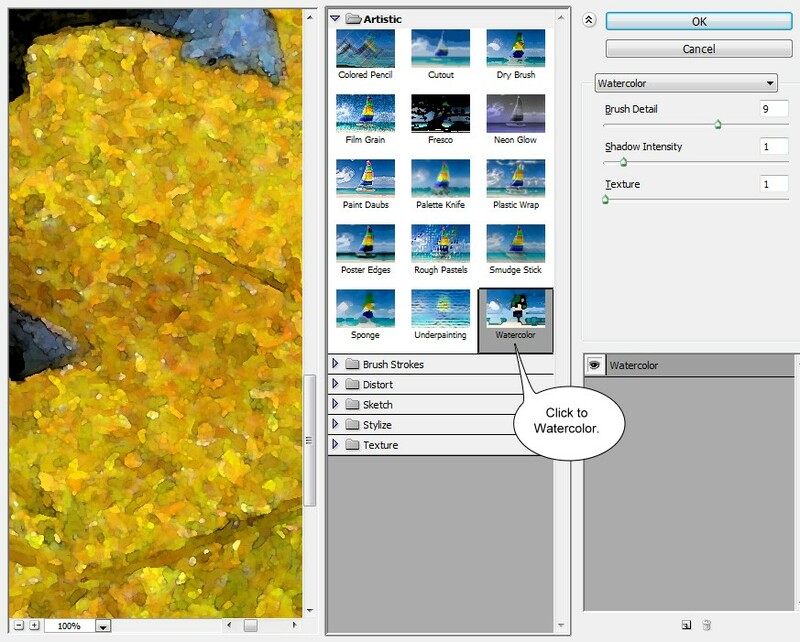 When Imagelys Picture Styles is running, choose the Watercolor Frame 11 effect into the ToolPalette and click the generate button. 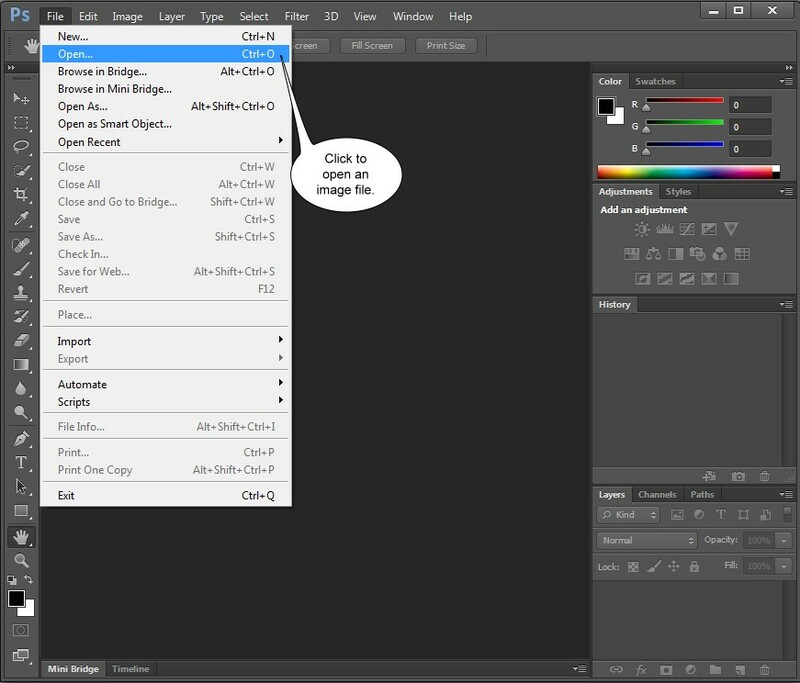 Then, click to Save as in the main menu and enter a filename. 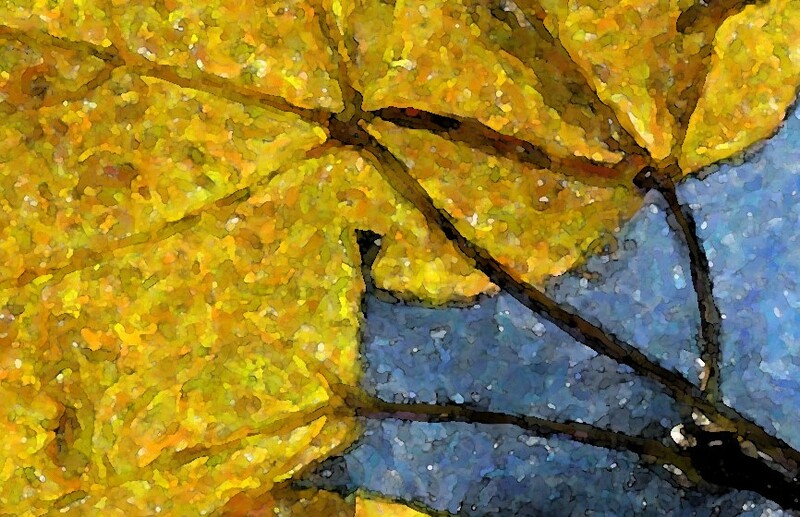 The result of Painterly and Watercolor effect, full view and zoomed. Copyright © 2002-2019 Jean Bernard Roussilhe. All rights reserved.